Custom Table Banners & Logo Table Runners & Promotional Table Cloth, Trade show table banners are the perfect way to identify your brand at any event. 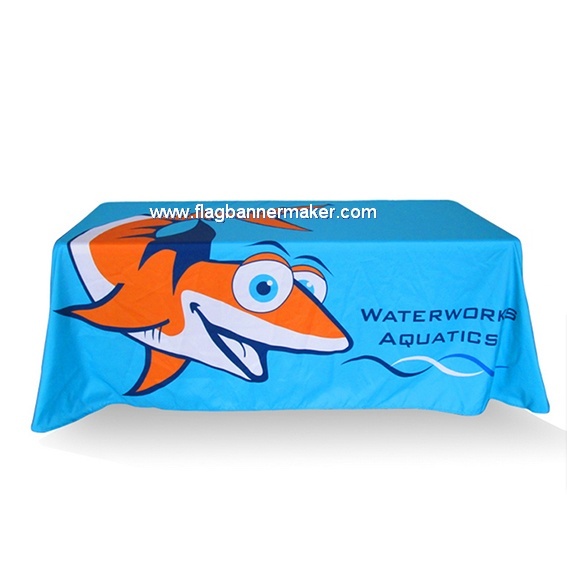 Custom table throws and logo table runners will give your booth a tidy appearance that will draw in attendees. Our wide selection of styles, sizes and imprint options allow you to represent your brand in the best way possible.